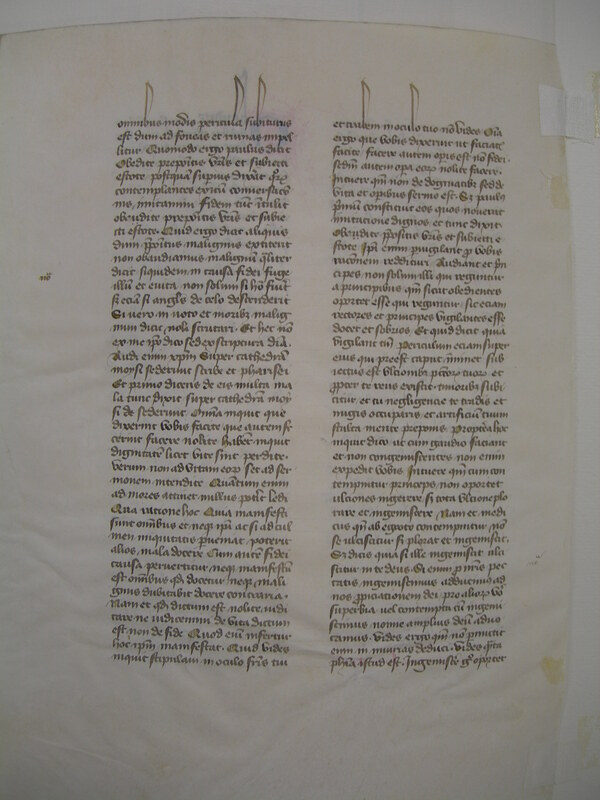 Ege identifies this leaf as coming from a manuscript of works by Gregory the Great, but some of the leaves contain text from the writings of St. John Chrysostom. It dates to fifteenth-century France, measures 31 x 22.5 cm, and is written in a widespread secular script called lettre bâtarde. These leaves are generally unadorned except for yellow filling in the first letters of sentences, occasional use of rubrication for incipits or divisions, and of course the dramatic ascenders in the top line. (Sometimes space has been left for rubrication which was not supplied.) Three-line decorated red/blue initials, when present, are filled with very attractive and intricate swirls and beads. There are sharp tears to the inner margin where the leaf was separated from the binding thread. 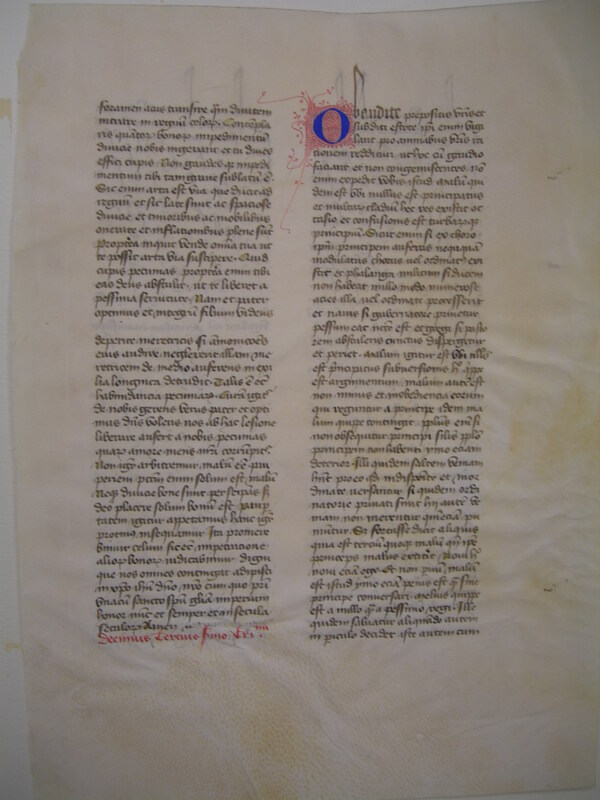 See Denison University Leaf 41 for more information about this manuscript. Text: Not yet identified, but the rubrication on the recto indicates Chrysostom's thirteenth sermon, and the subsequent text is from Hebrews.